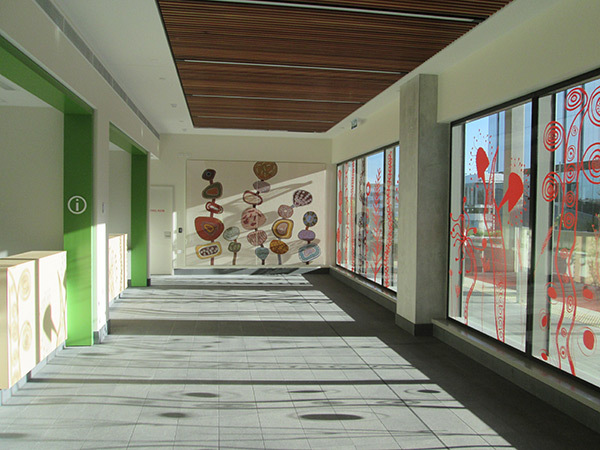 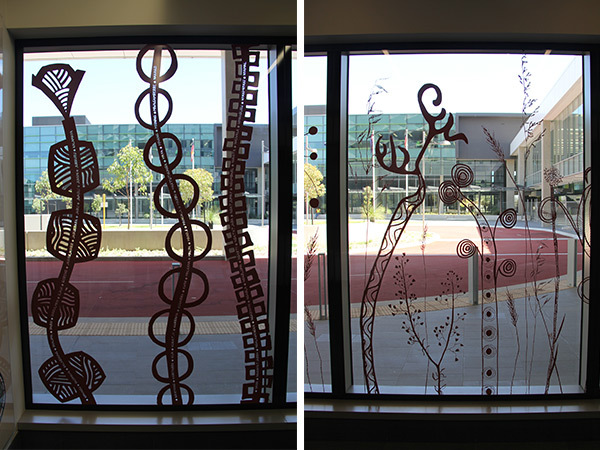 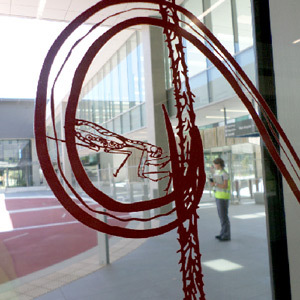 Deborah Bonar was commissioned with three other artists, Wendy Hayden, Joanna Robertson and Ella Taylor, to create public artwork for the entrance to the new Fiona Stanley Hospital. 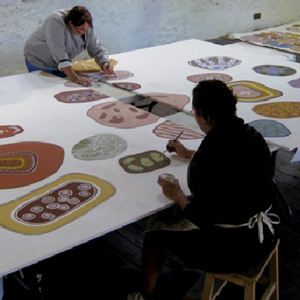 This included a 2.45 x 3.3 metres ochre and mixed media painting on canvas titled Welcome to Country plus sixteen metres of artwork reproduced on glass. 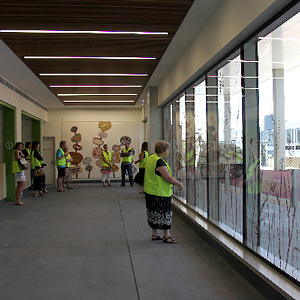 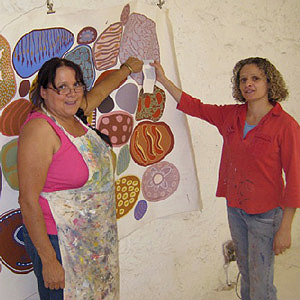 The theme for both artworks relates to the site of the hospital and its significance to the local Nyoongar people. 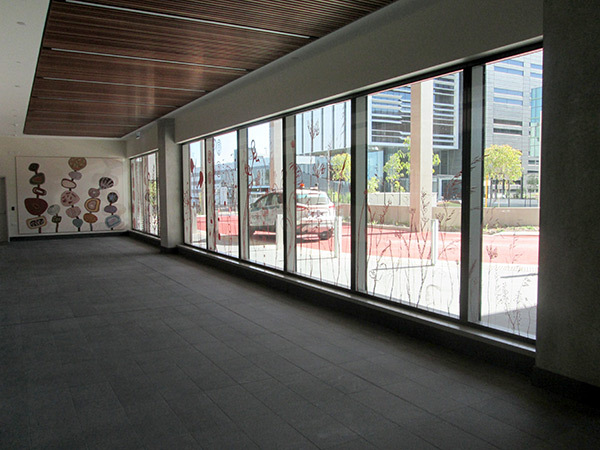 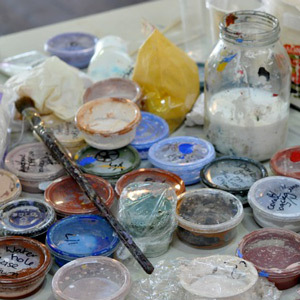 It features grasses and plants, insects and small creatures from the local wetlands. 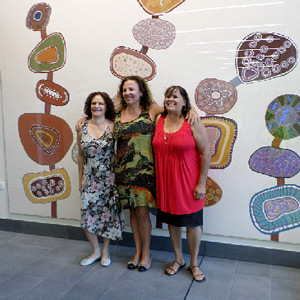 The five stalks on this painting represent the five regions of Western Australia: the Kimberley, the Pilbara, the Goldfields, the Midwest and the Southwest. 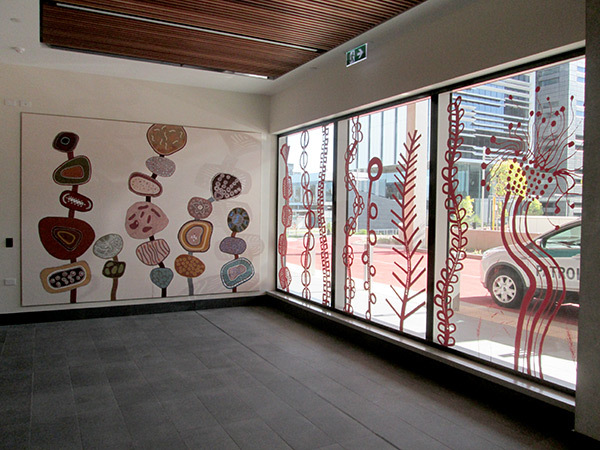 The motifs on the stalks represent regional landscapes, seeds, corals, fauna and the Stolen Generation. 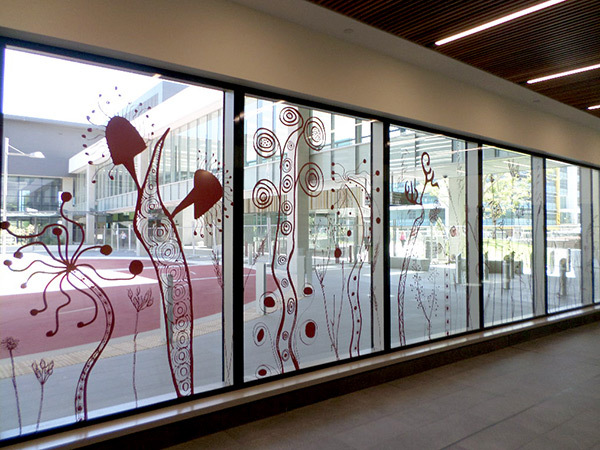 This artwork features abstract grasses and plants with small creatures and insects hidden in the stems. 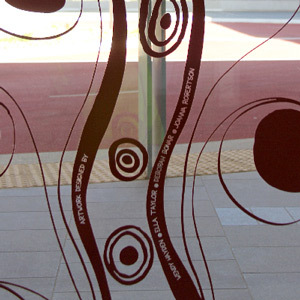 The names of all Aboriginal language groups in Western Australia are incorporated into the design to represent them and to provide a visual welcome.